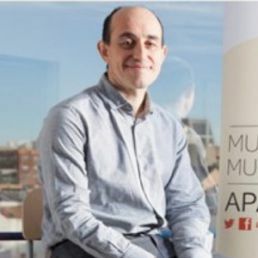 Graduated in Business Sciences, he has been part of the team of Ayuda en Acción since 2007 and is currently a member of the management team, fostering the strategic planning, the social innovation and the digital transformation of the institution. As the former responsible for international cooperation, he has coordinated cooperation projects, both in response to emergencies and for the protection of the livelihoods of the communities where Ayuda en Acción works in Latin America, Asia and Africa. More recently, he led the intervention team in Spain, which aims to reduce the impact of the economic crisis on low-income families. Moreover Jorge has over 10 years of consulting experience in the technology sector and uses the bike as a means of urban transport every day, he promotes within Ayuda en Acción healthy and sustainable mobility and sustainability as strategical levers. Our consumption of fossil fuels is harming people and planet. In Spain and across the world we see the same pattern – the poorest people, who use the least energy, are hardest hit by harmful aspects of climate change and rising energy prices. Moving towards a greener economy is creating opportunities for new technologies, investment and jobs. At the same time, environmental change and in particular climate change has detrimental effects on certain economic sectors and can cause job losses. Identifying and providing the right skills for new and existing jobs can smooth transitions to greener economies and ensure that new opportunities benefit a broader share of society.